Neil McGregor died at Smerral Latheronwheel 28th January 1917 aged 42. Daughter Margaret McGregor died 27th January 1919 aged 14. 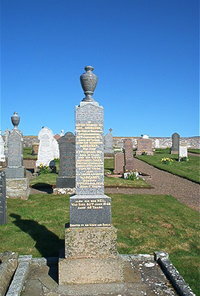 Wife Margaret Innes died at Achalone Halkirk 23rd January 1954 aged 92. Granddaughter Margaret died 2nd October 1925 aged 7. Son Neil McGregor died 30th June 1943 aged 45.